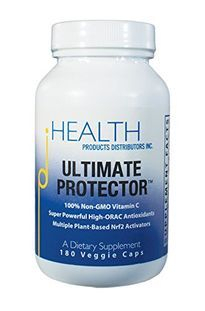 Nuley (the company): “Our specially formulated NRF2 Optimizer is an antioxidant enforcing supplement that is intended to upregulate our body’s natural antioxidant defense mechanisms for detoxification, reduction of oxidative stress and also downregulates mechanisms that relate to inflammation and overall disease progression. Nuley’s 100% naturally-sourced and vegetarian ingredients help to improve our body’s antioxidant support, Anti inflammatory support and detoxification processes. Although we ingest antioxidants in the food that we eat every day, it is widely known that we cannot eat enough antioxidants to compensate for the volume of free radicals that attack our bodies. Nuley’s modern NRF2 antioxidant amplification supplement represents the pinnacle of knowledge regarding Anti aging nutrition, and increases your body’s natural antioxidant process over 1000%.” "Hundreds of people from all over the world have reported myriad benefits from adding Nuley NRF2 Optimizer to their daily nutrition." Their website is http://www.nuley.com/. 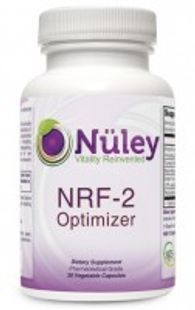 No other Nrf-2 Optimizer reviews were found at this time. Nuley states: "Thanks to over 2300 available peer-reviewed studies that are currently available on the subject, our knowledge of the NRF2 pathway is growing faster than ever. Current research suggests that through activation of the NRF2 transcript, our bodies naturally produce powerful antioxidants to reduce the free radicals that cause oxidative stress and, by association, improve our overall wellness." However, no independent research on this particular product has been located at this time.